The Export options in iMindMap 11 let you share and view your creations in many different formats. Open or continue to work in iMindMap 11. 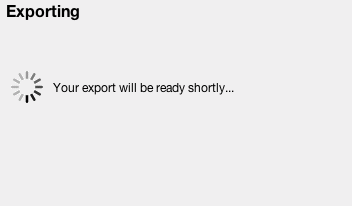 Select 'Image' from the Export Panel. Choose from the image options, then click 'Export'. 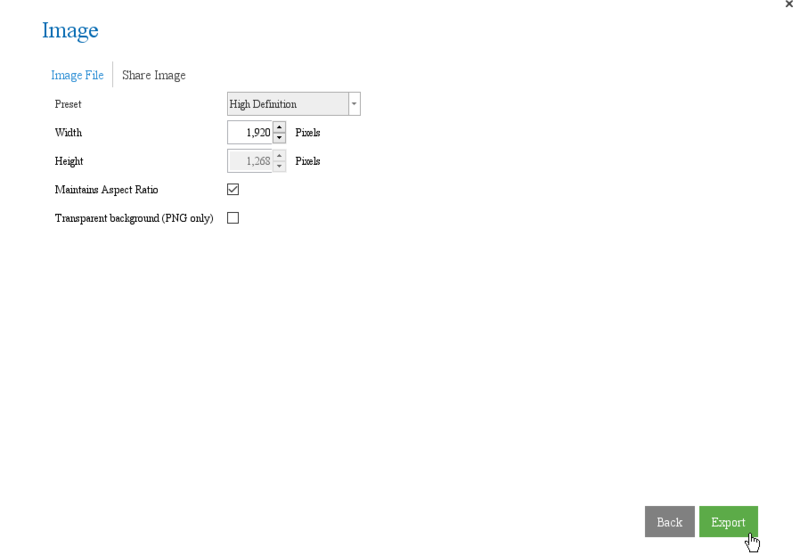 Select where you would like to export the image to on your computer. 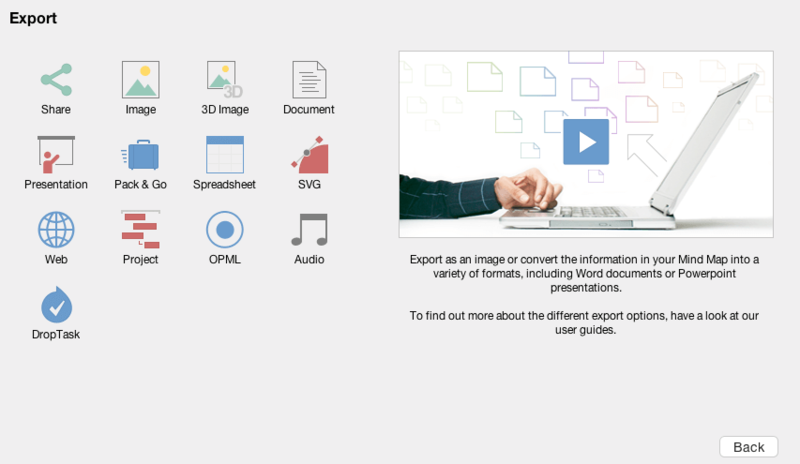 The Export options in iMindMap 11 lets you share and view your work in many different formats. Click on the File > Export tab in the main toolbar.